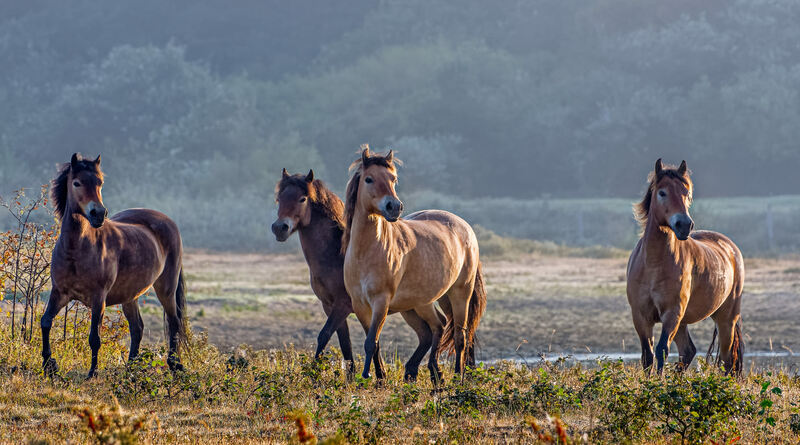 Horses [Exmoor ponies] that strayed from the herd earlier, now, upon their return, are catching sight of the lead mare in a field next to an almost dried up pond near Castricum, NL. 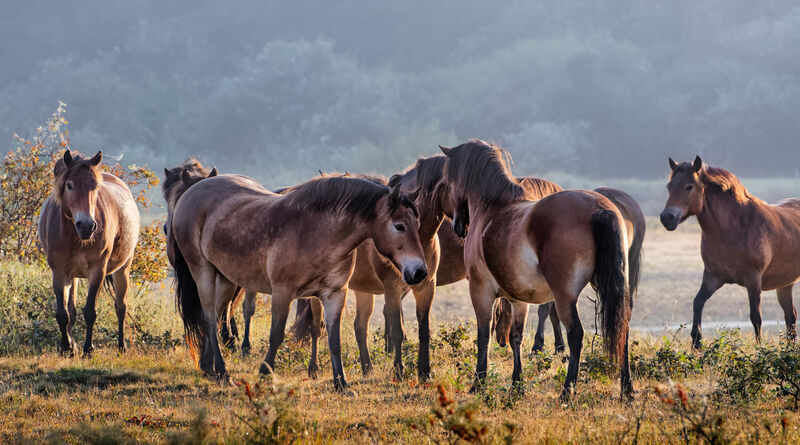 The lead mare, accompanied by only four quietly grazing horses from a herd of about 30, had been whinnying and running about restlessly for quite some time from the moment the sun came up over the tree tops. Apparently the rest of the herd had strayed off somewhere. Then, suddenly, from afar they came running to join the core group again. 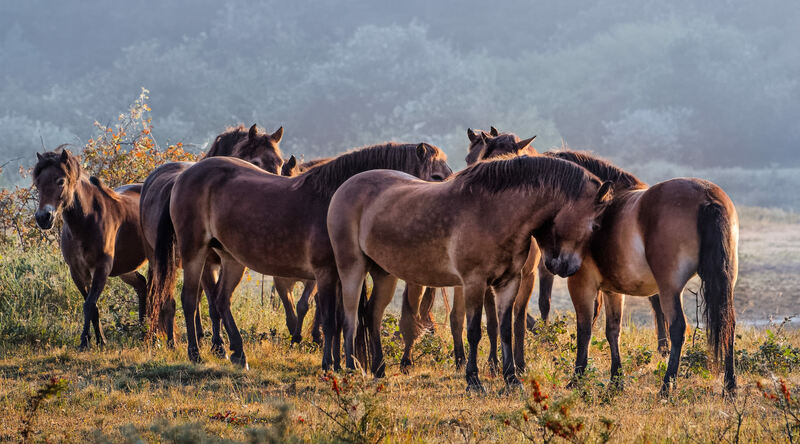 The final reunion was a touching sight, when all the arriving horses gathered closely around the lead mare, one of them even let her forehead rest against the mare’s shoulder for a while.